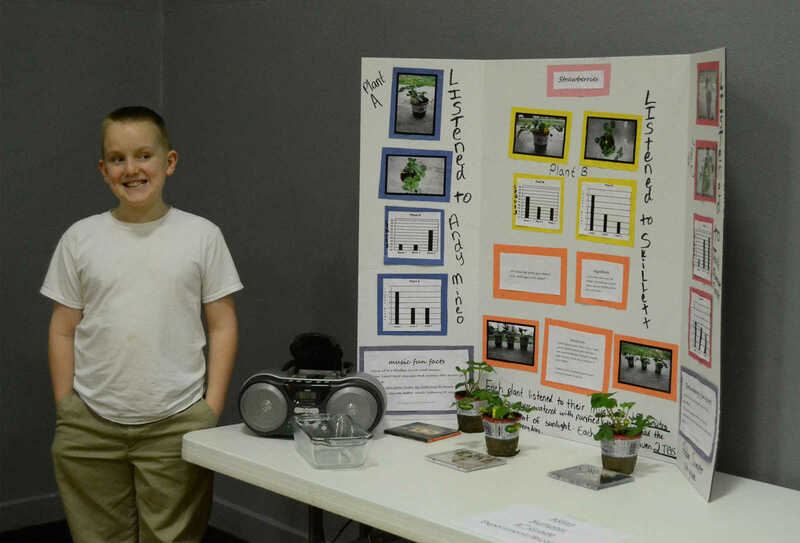 Aidan Sumpter stands beside his experiment board at NEVC Science Fair. Sumpter won first in fourth grade, first in biology and Best in Show Award. 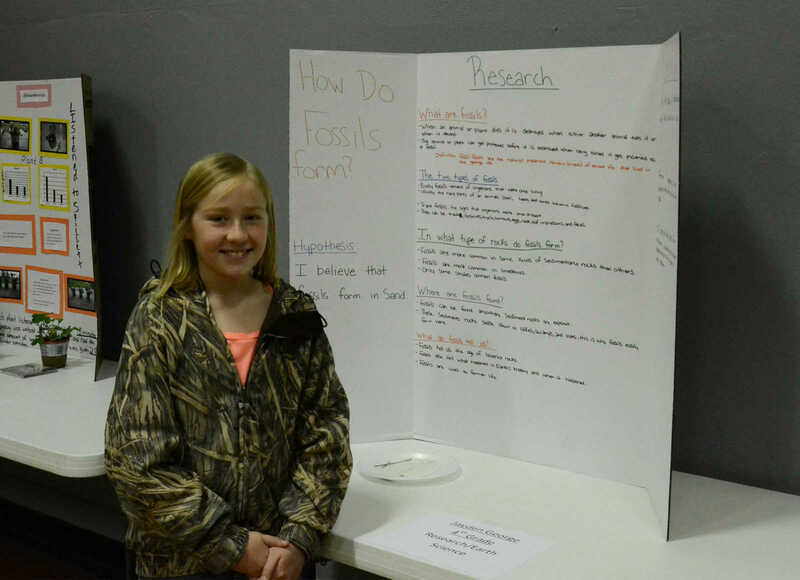 Jayden George stands beside her experiment board at NEVC Science Fair. George placed third in fourth grade and second in earth science. 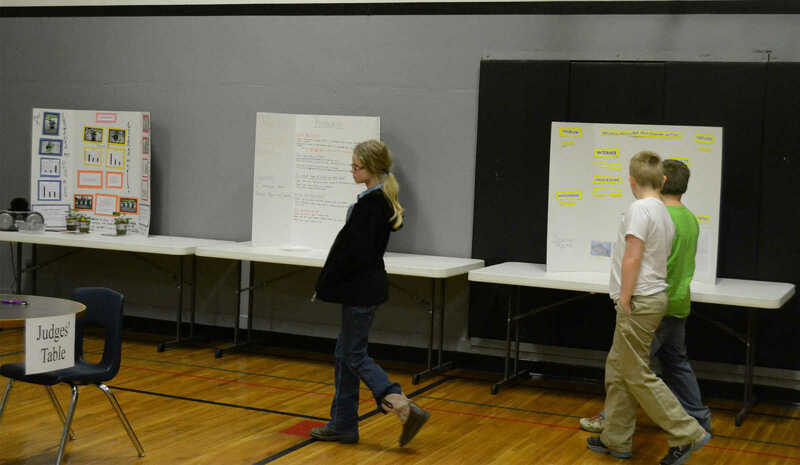 NEVC Science Fair participants walk to their experiment boards on Friday. 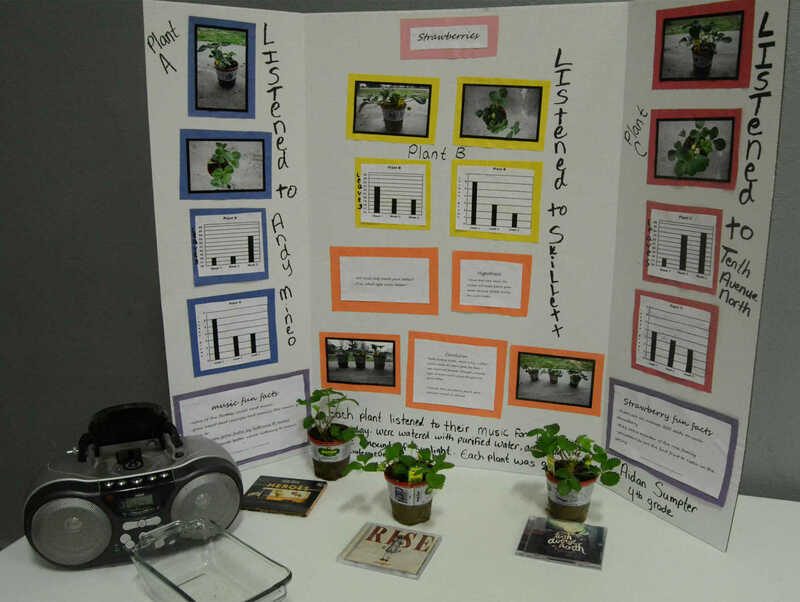 Aidan Sumpter studied how music effects plant growth for his project, winning Best in Show Award. 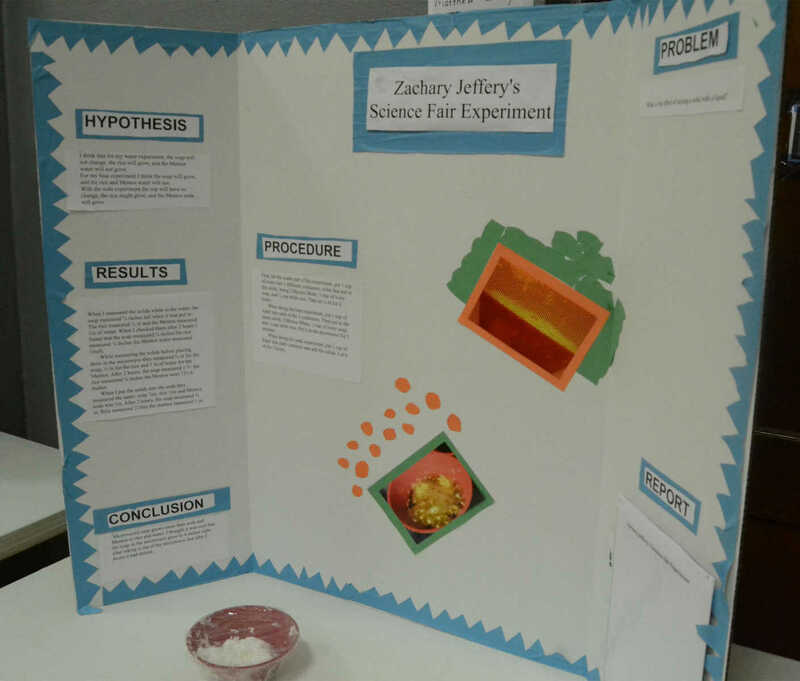 Zach Jeffery studied the effects of heat on solids in liquids for the NEVC Science Fair, winning Judge's Choice Award.